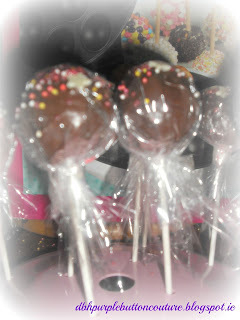 Today my sweet tooth has gotten the better of me and I feel creative so I decided to make CAKE POPS!!! I love these, they are so cute and also help you with portion control!!!! actually one of my better purchases! 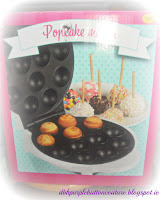 I have used it so much, you have baked cakes/pops in under 5 minutes. 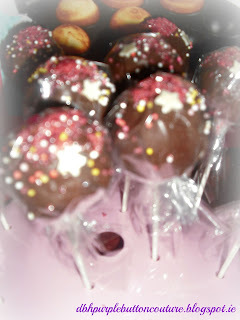 Which is good as I am quite impatient especially when all I really want is to decorate my creations!!! You can also bake these using a cake pop mould which you can pick up in dealz, tesco or any cook ware shop. 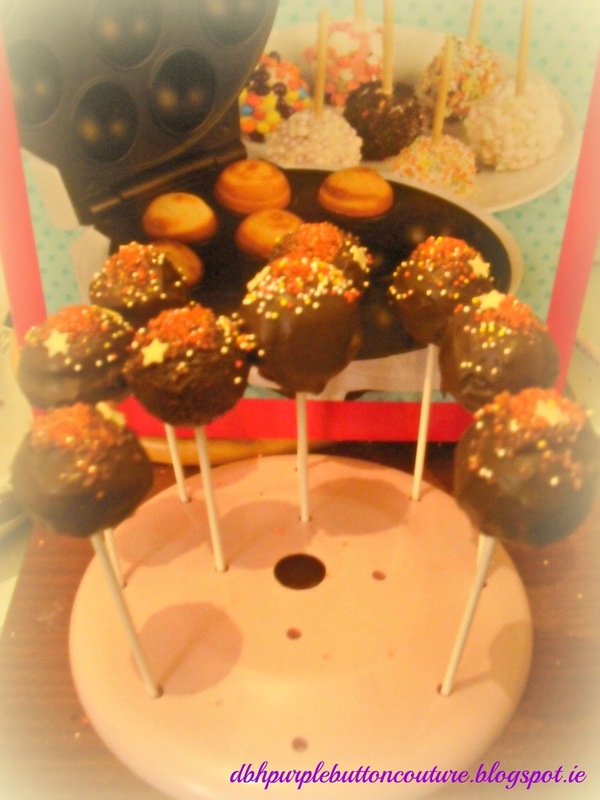 Bake for 5 minutes in the oven or as per box instruction on the cake pop maker. After letting them cool time to decorate!!! I melted chocolate in a bowl over a saucepan of boiling water, then rolled the pops around in it. Then before they dry I poured sprinkles on top, simple. I got the cake pop sticks and the cake pop stand in dealz. 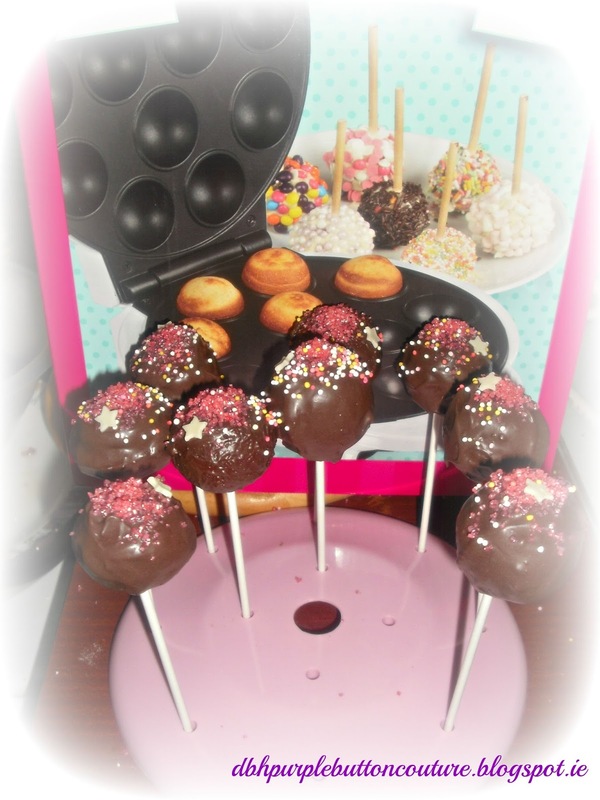 I also got silicone cake pop moulds before I got the maker. Dealz also do a good cake decorating range like the red sugar and the white chocolate stars I used. If you have read my It's all in the presentation post you may know I like presentation and gift wrapping so I got my trusty cellophane and tape and set to work! I cut the cellophane into squares and taped then up, easy. Hope you like then and are inspired to make some cake pops of your own! Please share any pictures of your pops or feel free to comment!